Enriched with Coconut & Shea Oils, this formula deeply penetrates and hydrates hair, leaving hair soft and nourished with a brilliant shine. 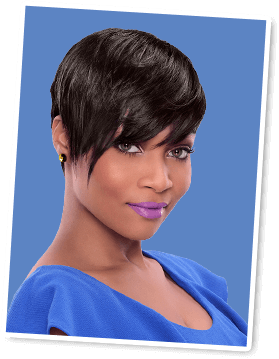 This shake-to-activate formula strengthens, helps prevent breakage and conditions while detangling hair. Shake well to blend and activate before using. Saturate damp hair and do not rinse. Lightly spray on dry hair for extra shine. 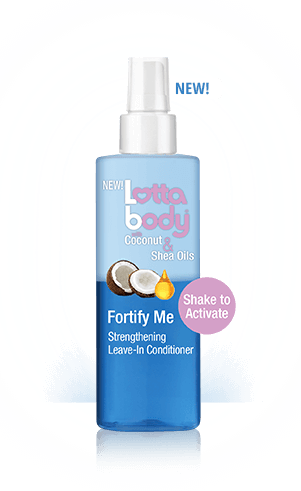 *When used together as a system (Lottabody Hydrate Me Moisturizing Shampoo, Lottabody Hydrate Me Moisturizing Conditioner and Lottabody Fortify Me Strengthening Leave-in Conditioner).